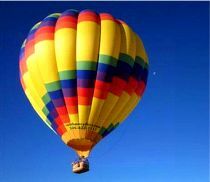 Santa Fe is one of those cities that everyone has heard about and I think in their heart of hearts desires to visit. 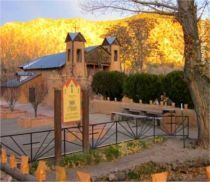 Just the name conjures up visions of the vast open spaces of the west, a beautifully preserved southwestern town and endless galleries full of artwork, not to mention fine cuisine. My first visit to the town was actually to produce a live television event from the backyard of local chefs (with a national reputation) – a thrill of the grill sort of thing. 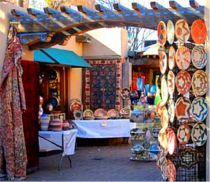 So many times when you travel, you see that what used to be a quaint little town has been overrun by modern American culture and architecture, but this is simply not the case with Santa Fe. 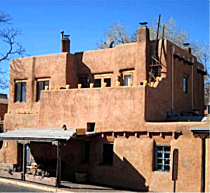 An ordinance was passed in 1958 that required all new and rebuilt buildings, especially those in designated historic districts, exhibit a Spanish Territorial or Pueblo style of architecture, with flat roofs and other features suggestive of the area's traditional adobe construction. I think that this is one way that Santa Fe has been able to maintain a unique charm that you don’t find in most U.S. cities. Loretto Chapel. 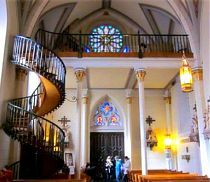 The Loretto Chapel is legendary for the “Miraculous Staircase.” The staircase came about as an answer to prayer because the Sisters of Loretto had a big problem – they didn’t have a suitable access to the choir loft, unless you think a ladder is a suitable access. It's not easy climbing up a ladder when you're wearing a nun habit, mind you. It's not easy climbing a ladder wearing blue jeans sometimes either. So the sisters did what God loving nuns do – they prayed for a solution. As legend has it the spiral staircase at the Loretto Chapel was built by an unknown carpenter who showed up one day seemingly out of nowhere. 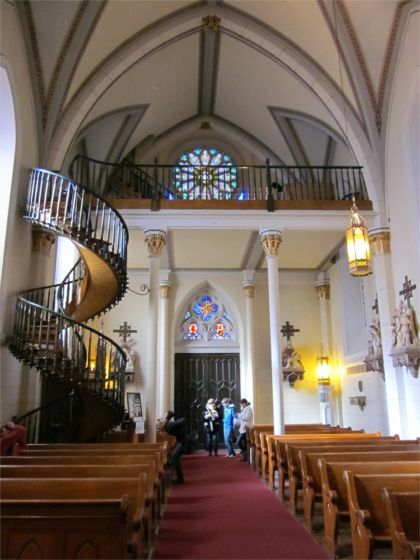 The construction of this unique staircase was an answer to the prayers of the Sisters of Loretto because the staircase now gave them safe access to the choir loft. The spiral stairway is 22 feet high, has no center support and was assembled without nails (wooden pegs were used). It has 33 steps and makes two complete 360 degree turns. This miracle was featured on the popular TV series “Unsolved Mysteries” which makes the chapel one of the most popular tourist spots in Santa Fe. Georgia O’Keeffe Museum. Georgia O’Keeffe is perhaps one of Santa Fe’s most legendary artists. The Georgia O’Keeffe Museum opened in July 1997 just eleven years after her death. More than 2,225,000 visitors from all over the world have visited making it the most visited art museum in the state of New Mexico. It is also the only museum in the world dedicated to an internationally known American woman artist. The Museum’s collection of over 3,000 works comprises 1,149 O’Keeffe paintings, drawings, and sculptures that date from 1901 to 1984, the year failing eyesight forced O’Keeffe into retirement. The Georgia O'Keeffe Museum is the largest single repository of O'Keeffe's work in the world. Canyon Road Galleries. 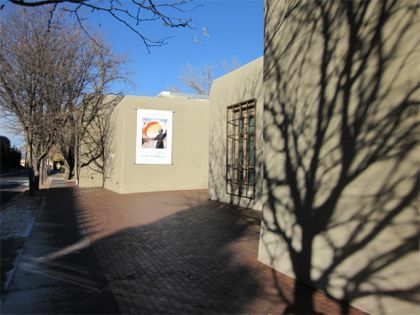 Canyon Road in Santa Fe has over a hundred art galleries in a mile stretch. 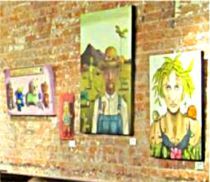 These galleries include world class Native American, contemporary, historic, and internationally recognized artists. 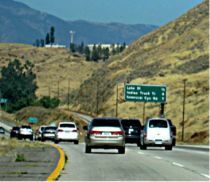 If you’ve been to galleries in New York or Los Angeles, Canyon Road has a completely different vibe that is “All Southwest.” As a map of the area will show you, Galleries have literally taken over the neighborhood and are set up in adobe style homes. 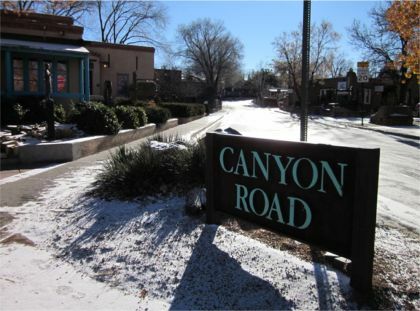 The unique mingling of fine art galleries with gracious adobe homes on winding, shaded streets is the essence of Canyon Road's charm. 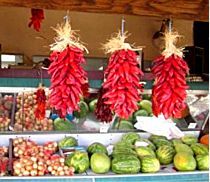 It is located just blocks from Santa Fe's busy plaza and Canyon Road's special quality arises from its history as a rural neighborhood of small farms scattered along an old Indian trail. 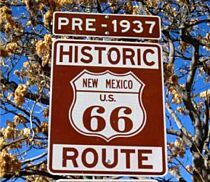 Great original historic architecture, sculpture, and gardens abound on this must see part of any Santa Fe trip. San Miguel Mission. The San Miguel Mission is located on the Old Santa Fe Trail and is the oldest church in the United States. 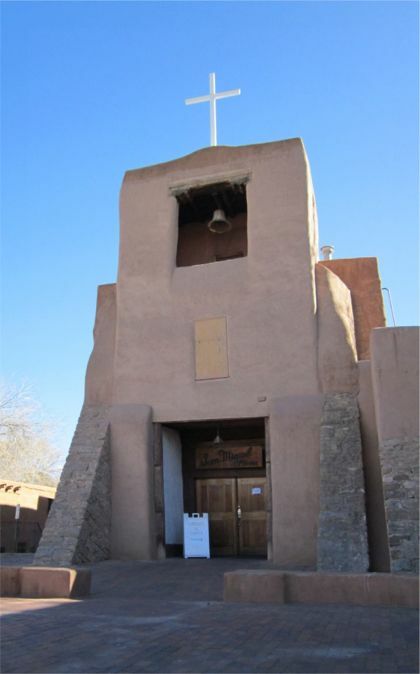 It was built in 1610, the year that Santa Fe was founded, and the foundation of the orginal church can still be seen under the sanctuary of the present structure. The mission is located at the corner of Old Santa Fe Trail and East de Vargas. Mass is still celebrated every Sunday. Oldest House in Santa Fe. Just off the Old Santa Fe Trail is an area formerly known as Barrio de Analco and part of a National Historic District. 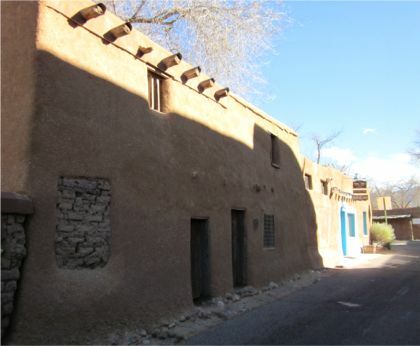 Some of the homes in this area date to the mid-18th century and on the eastern side of Old Santa Fe Trail at 215 East De Vargas Street is the oldest house in the United States, built around 1646. You can see the straw used in the clay to build this home and it is open to tour inside as well. 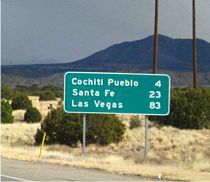 So those are the five must visit places in Santa Fe, but there’s so much more. I’ve put together a quick visitors guide of highlights for your visit including my recommendations on where to stay, where to eat, great shopping, day trips and more so be sure and check it out. 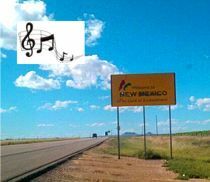 To find out more information on what to do and see in New Mexico on your vacation, check out my land of enchantment article and discover how my love affair with New Mexico began.